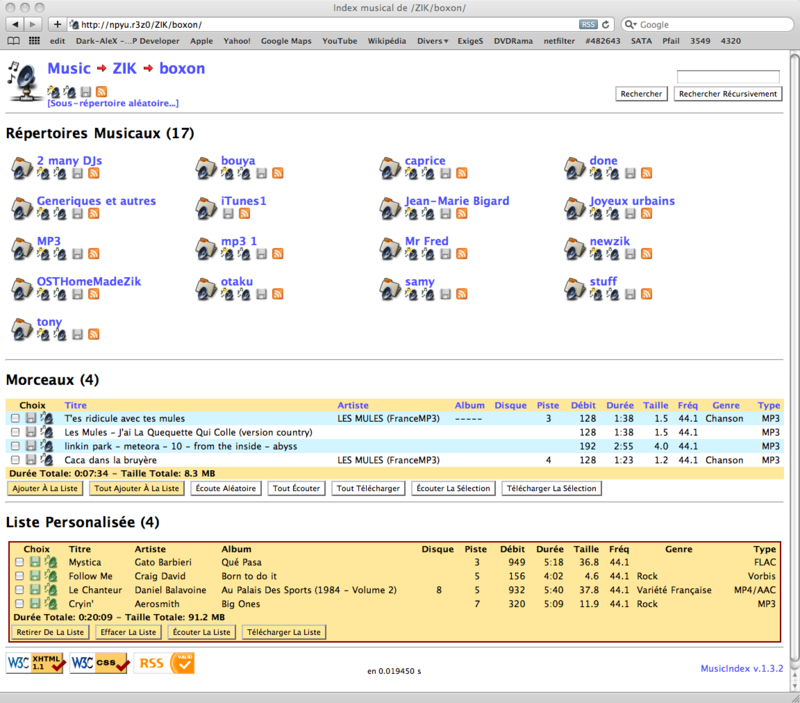 mod_musicindex is an Apache module initially aimed at being a (faster) alternative to the Perl module Apache::MP3, written in C.
It allows nice displaying of directories containing MP3, FLAC, Ogg Vorbis or MP4/AAC files, including sorting them on various fields, streaming and/or downloading them, constructing playlists and searching. It also provides features such as RSS and Podcast feeds, multiple CSS support, and archive downloads. It is considered as stable, mature software and is currently available in English, French, German, Italian, Dutch and Brazilian Portuguese. Check the screenshot. The source code for this software is available for download here (last release: 1.4.1). This module is known to work in various flavors of Linux, BSD, Mac OSX and Solaris. Official packages may be available from distribution providers.